Another record reset for this vintage Ferrari racer. In these desperately frugal times, it's nice to see some people are prepared to fork out if the goods are worth it. And Ferraris are still the price-fetchers. This original 1957 Ferrari 250 Testa Rossa sold under the hammer at the weekend for a record-smashing 9.0 million euro - that's 16.2 million of our Aussie bucks. An anonymous bidder secured the vintage supercar via telephone to the Ferrari heartland of Maranello, Italy, where RM Auctions held the annual "Leggenda e Passione" - an event specialising in Italian supercars. The previous record was set at last year's event, when UK radio host Chris Evans coughed up 7 million euros for a black 1861 Ferrari 250 GT SWB California. The record would have been lapped at Saturday's auction if another pony - a Ferrari 330 P4 - hadn't been passed in at 7.25 million euros. The Testa Rossa "pontoon fender" model is one of only 22 similar jobs manufactured in Maranello between '57 and '58. The number 124 racer finished 4th when it debuted in the Buenos Aires 1000km in '58, and has a history in the SCCA Championship in following years. 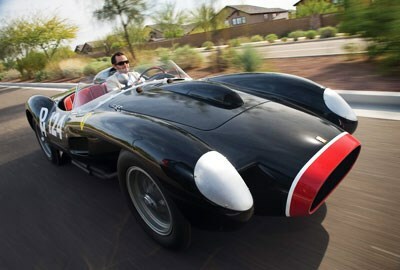 In 2007 a Le Mans winning 1962 Testa Rossa was sold at auction for a then-record breaking $A11.3 million.